Russia’s VIM Airlines has signed an LOI with IFC on lease of 15 Irkut MC-21-300 aircraft. The aircraft are to be delivered in 2021 – 2024 under the 12 year operating lease contracts. The aircraft are to be delivered in single-aisle all-economy 211 seat layout powered by Russian PD-14 engines or Pratt & Whitney PW1400G according to carrier’s choice. The document was signed by Ilyushin Finance CEO Alexander Rubtsov and Vim Airline’s CEO Alexander Kotchnev. The parties have decided to firm the operating lease terms by the end of this year. 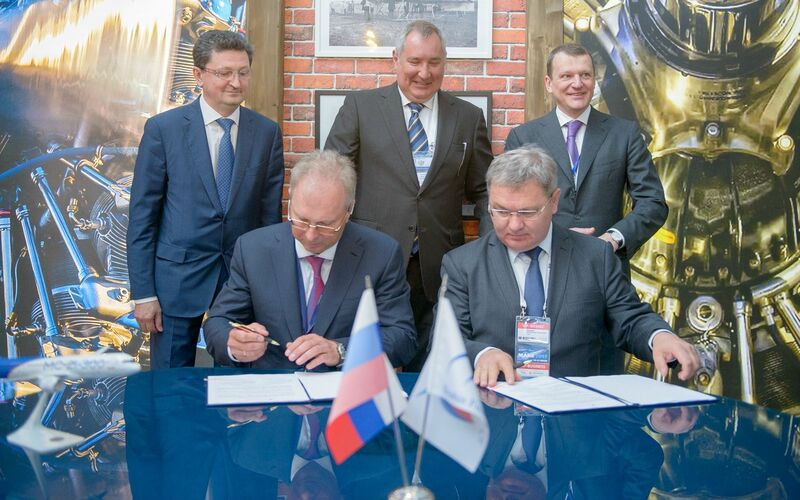 Russia's Vice Prime Minister Dmitry Rogozin, United Aircraft Corp. First VP Alexander Tulyakov, and VIM Airline’s President Rashid Mursekaev were present at the signing ceremony.